U.A.E.-based Emirates airline has received the honor of being named the World’s Best Airline in the 2016 Skytrax World Airline Awards announced July 12 at the Farnborough International Air Show outside London. The honor is the fourth time Emirates has been named the World's Best in the Skytrax awards. The carrier won the top honor is 2013, 2002 and 2001 and has been among the top 10 year after year. "Emirates has always put our customers at the heart of what we do, and we work hard to deliver the very best experience possible to our customers at every touchpoint, every day, all around the world," Sir Tim Clark, President of Emirates Airline said following the announcement of the award. Emirates also won Best Inflight Entertainment for its ICE entertainment system and ranked among the top airlines in the categories of Best First Class Airline, Best Business Class Airline, Best Economy Class Airline and Best Cabin Staff. It also won awards for its premium-class lounges. The rankings, presented by Skytrax, are the result of voting by airline passengers from around the world who take part each year in what are described as "The Oscars of the aviation industry" and is the world’s largest airline passenger satisfaction survey. The complete World's Best list ranks the world's top 100 airlines and is available here. The highest-ranked U.S. airline on that list was Virgin America at No. 25, up one slot from the 2015 rankings. Two of the "big three" U.S. carriers also ranked higher in the 2016 awards. Atlanta-headquartered Delta Air Lines (NYSE:DAL) showed the biggest improvement, rising to No, 35 from No. 45 last year while American Airlines (NASDAQ:AAL) rose to No. 77 from No. 79. Chicago-headquartered United Airlines (NYSE:UAL) dropped to No. 68 from No. 60 last year. Seattle-based regional carrier Alaska Airlines (NYSE:ALK) rose five slots to No. 60 from was No. 65 last year while no-frills carrier Southwest Airlines (NYSE:LUV) rose to No. 66 from No. 67 in the 2015 awards. The survey also grants awards in different categories and subcategories. The category Best Airlines for First Class Travel rank the carriers overall as well as their first class lounges, seats, airline catering, lounge dining and first class amenities. Etihad was ranked Best First Class Airline overall, followed by Cathay Pacific, Air France, ANA and Singapore. 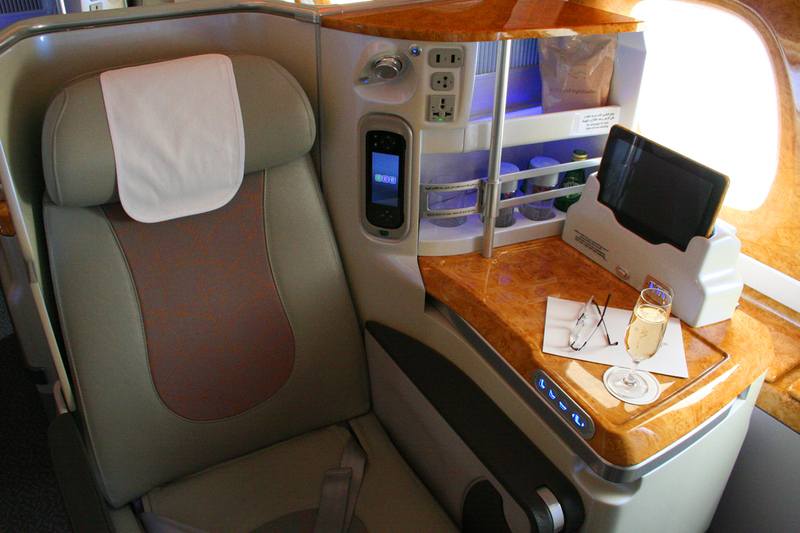 The top five airlines awarded Best Airlines in Business Class were Qatar, Singapore, Etihad, Emirates and Cathay Pacific. The top five airlines given accolades for Best in Premium Economy were Air New Zealand, Qantas, Lufthansa, Japan Airlines and Cathay Pacific. Finally, honors for airlines with the Best Economy class went to Asiana, Qatar, Singapore, Cathay Pacific and Emirates.